Traditionally, the new year has often brought with it hope for better fortunes with many making resolutions but for millions of Zimbabweans hard hit by the prevailing economic situation in the country, 2019 has little if anything to offer. During the back end of 2018, it had become somewhat fashionable to be queuing for one thing or the other and the new year has not brought it change in fortunes as its still the same game in town. The country is battling against high unemployment, inflation and shortage of basic commodities while civil servants have become restless demanding to be paid in United States dollars. Just this past weekend, most fuel stations in Harare recorded the highest number of vehicle waiting for fuel as some were planning for the commencement of the full working year. Some were fueling for the school runs while others were preparing to travel back as far as South Africa. “This is a very catastrophic situation which shows the extent at which the authorities have lost grip of the economy. If they cannot provide for fuel then can we expect them to deliver anything meaningful?” questioned one motorist, Calvin Mushongera as he claimed to have waited for four hours before he could get fuel for his journey to Johannesburg. As if the long winding fuel queues were not enough, this weekend the City of Harare commenced water rationing for residents in the capital amid reports that most dams have gone down in terms of water level. The move will see some suburbs getting water three days in a week. The water shortages brought about other queues at various water sources dotted around the capital and were an eyesore as desperate residents waited agonizingly for long hours to access the water. With most Harare boreholes having been condemned as unhealthy for human consumption, most residents were left without a choice but rely on the life threatening sources. “We cannot afford to buy purified water and this is the only source of that I can access. If I don’t get water today then it means my home risks contracting water borne diseases and that would put others at risks,” Vanessa Maravanyika, a Kuwadzana 3 resident told 263Chat during our survey. Liquid Petroleum Gas Queues Getting Longer. “It is only in Zimbabwe that you see people queuing to buy gas and still go home without having bought it because it’s in short supply,” lamented Nosipo Nhari in Mbare as she joined a queue. On the other side of the road, hundreds of cars were also queuing to get fuel at Total Service Station along Simon Mazorodze Road. For some, it will be a long and painful year that will require a lot of grit and resilience to survive. “Zimbabwe is fast becoming a jungle where people have to scramble for anything and everything. Life is unbearable, you have to wake up every day and look around you to see where the next queue is. “You can never have any hope and dreaming for a better life has become a big fat joke, our leaders have failed us, we are going to bed hungry, our kids have to spend time in these useless queues,” said an emotionally charged Nancy Mashanda, also from Mbare. 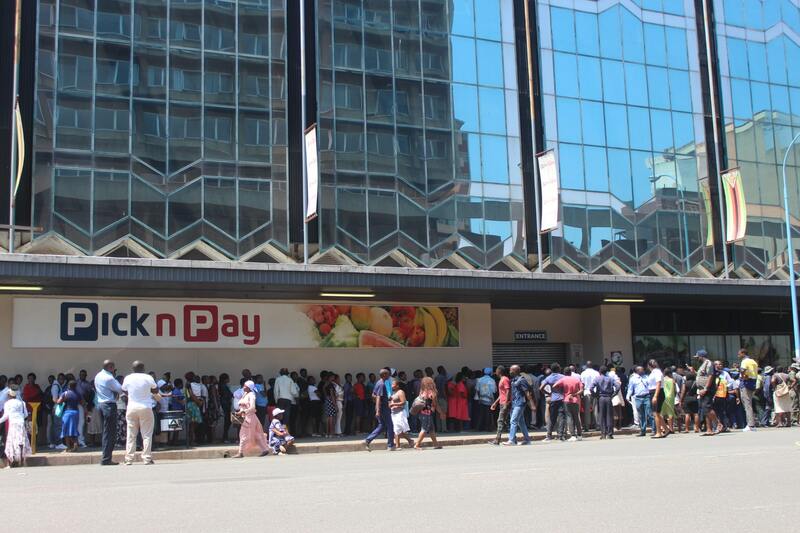 For many, the hope that this economic quagmire will end is fasting becoming a dreaded nightmare amid indications that the country will continue using the unpopular bond notes.